With three of the world’s know atolls, yacht chartering in Belize offers great coral reef snorkeling and diving, with the most notable dive location being the “Blue Hole“. Made famous by Jacques Cousteau, the Blue Hole is no less extraordinary then when Cousteau and his crew explored the depths, and declared this spot one of the “10 Best Scuba Diving Locations in the World” in 1971. 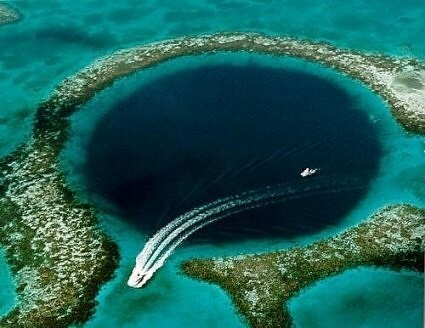 This large underwater sinkhole was formed when the roof of an underwater cavern collapsed leaving a circular opening, just under the surface of the ocean over 980′ in diameter. Located in Lighthouse Reef, the Blue Hole is part of the larger Belize Barrier Reef Reserve System, which is a declared UNESCO World Heritage Site and well worth visiting while on a yacht charter in Belize. Most yacht charter starts in the mainland, and in the Yucatan area of Central America and are called Cenotes. The Blue Hole is believed to be the largest discovered Cenote of its kind under water. Lighthouse Reef should be included in any yacht charter itinerary of Belize and is a unique scuba diving location. 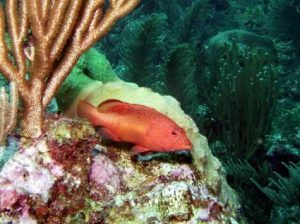 Within the crystal clear waters of the Blue Hole, a scuba diver can hope to see many different types of tropical fish, including giant groupers and nurse and reef sharks. 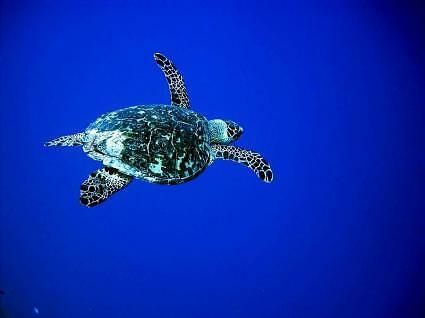 And in the surrounding area are a number of locations to dive along the reef. In shallow waters covering parts of the reef is great snorkeling. Lighthouse Reef is also well known, for a collection of shipwrecks that have happened over the centuries along the far eastern side of the reef, some of which are still visible above the waterline. It is certainly easy to spend several days out in the Lighthouse Reef area visiting exploring both the Blue Hole and other areas of this atoll.